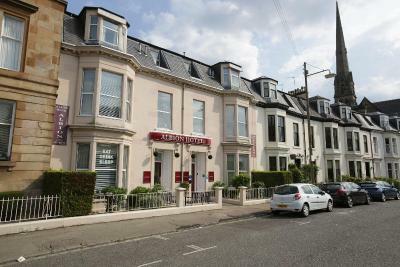 Lock in a great price for Albion Hotel - rated 8.4 by recent guests. Very clean and great location for the west end of Glasgow. Very conveniently located. Very reasonably priced. The location was ideal - Glasgow central with on street voucher parking. Large Room with sitting area. Very clean and comfortable. Everything - access to the hotel on 24 hour basis. Staff were so helpful and considerate - a higher class! They had answers to every question and went the extra mile to ensure a great stay. We shall return. Really good location, close to underground station great base for accessing the city centre. Good location for visiting daughter at Glasgow University. The receptionist was lovely and very helpful. The rooms were larger and nicer than we expected. Overall it was a lovely stay. Situated close to the subway for ease of transportation. Very handy for the venue i was attending (the hug and pint) is within a5 minute walk. Very comfy with plenty space in the room. Full Scottish breakfast with a wide range of choices. One of our top picks in Glasgow.Situated in Glasgow’s vibrant West End, Albion Hotel has colourful bedrooms with free Wi-Fi. 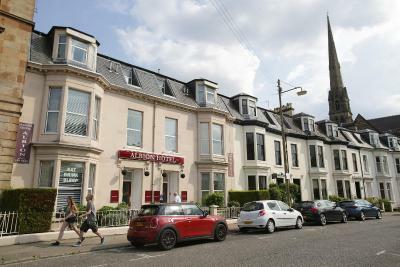 Just 20 minutes’ walk from Glasgow centre, the hotel offers cooked breakfasts and period features. 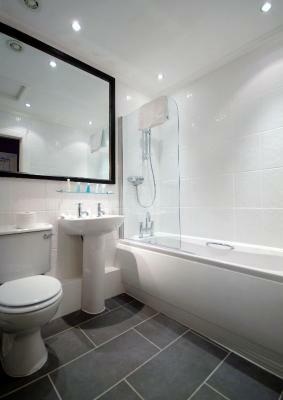 Set in a grand period townhouse, the bedrooms at the Albion each have a private modern bathroom. Rooms also feature a TV, tea/coffee facilities and a hairdryer. Ironing facilities and refrigerators are also available. Delicious full Scottish breakfasts are served daily in the bright and airy dining room. There is also a cosy lounge bar, offering comfortable seating and a range of beverages. There is a selection of restaurants and pubs just a short walk away. With a quiet, residential setting, Albion Hotel is situated just off Great Western Road. Just a mile from the historical old town, the hotel is 50 yards from Kelvinbridge Underground Station. Glasgow International Airport is a 15-minute drive away. On street parking available at a discounted rate and vouchers available from hotel reception. Parking is free at weekends and overnight. Albion Hotel has been welcoming Booking.com guests since 3 Aug 2005. When would you like to stay at Albion Hotel? All rooms (2 of which are at street level with no stairs to climb) are tastefully furnished. 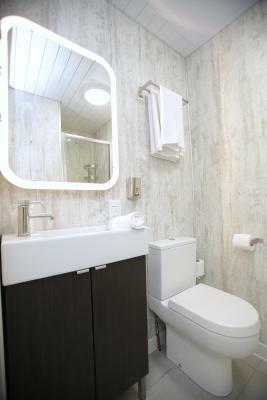 An en suite bathroom with shower, cable TV and a refrigerator are featured in this room. Free Wi-Fi is also provided. This room features an en suite shower room and a fridge. House rules Albion Hotel takes special requests - add in the next step! All children under 2 years are charged GBP 12 per night for children's cots/cribs. Bankcard Albion Hotel accepts these cards and reserves the right to temporarily hold an amount prior to arrival. Albion Hotel accepts these cards and reserves the right to temporarily hold an amount prior to arrival. When booking for 5 persons or more, different policies and additional supplements will apply. Please contact the property for more information. 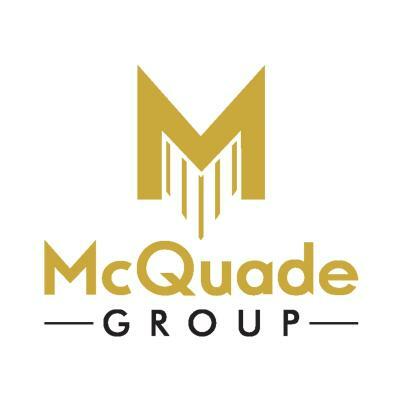 Guests wishing to pay in advance must request an online invoice with a link to an online payment gateway. Please contact the hotel for details. Please inform Albion Hotel in advance of your expected arrival time. You can use the Special Requests box when booking, or contact the property directly with the contact details provided in your confirmation. Could hear other guests coming and going. Everything was super could not have asked for anything more. It was very warm in the property, which personally made it difficult for me to sleep; there was also low shower pressure in the room. However, both of these things are personal preference. There was nothing i could fault with the place.